As spring passes to summer, we begin to gather data from nature reserves as to how birds have fared during the breeding season and to assess how conservation work for key species is progressing. On a reserve that has ground nesting birds, such as waders, gulls or terns, an assessment can often be made very quickly and at an early stage, before the final figures are collated. A productive site has a characteristic sound and feel: the noise of birds interacting with each other or defending their nests or young. Lapwing or Redshank quickly rise to scold and chase passing crows. ‘Kleep kleep-ing’ Avocets tell you that they have something left to fight for. 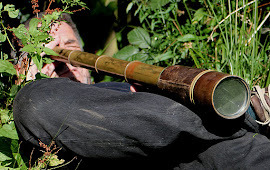 Usually the initial impression gained from a quick eye-ball of the habitat and a listen to the action tells all. However, the incoming data will not be good on all sites. There may be few chicks surviving, with overall productivity being low. In fact, this is a widespread issue. A study of the breeding success of key species from the Waddensea region of The Netherlands/Germany showed that 18 out of 29 were in decline, with poor breeding success being the important driver of decline. Three species, Avocet, Arctic Tern and Oystercatcher, had such poor breeding success that they were rarely able to reproduce themselves and local populations were in deep trouble. When trying to determine the cause of low numbers of birds or poor productivity, two or three key issues are likely to hold the answer. Poor weather in varying forms can cause problems. In cold, wet conditions chicks will take longer to fledge or die of starvation or cold. By contrast, dry conditions may also make food hard to find. Mitigating the effects of poor weather is often closely linked to habitat quality; a crucial factor that is well within the control of the land manager. Wet grasslands in particular are frequently in poor condition; the sward is either too long or overgrazed, or the site often too dry. Water control structures, if not maintained, can be leaky and in a poor state of repair. Such problems are usually obvious to the trained eye. Finally, and often the key issue when everything else looks to be okay, is the problem of predation. This is the issue that is most often ignored as it asks some difficult questions for the conservationist. For me, a trip to a range of French nature reserves a few years back was particularly illuminating. Arriving one evening prior to an arranged reserve visit the following day, we wandered out to discover and enjoy a gloriously large, noisy, smelly, productive colony of Sandwich Terns and Mediterranean Gulls. Next day, at the nature reserve, just a few Avocets loafed silently on a deserted island. Apparently, when acquired, the reserve had thriving Avocet and Stilt colonies, but gradually the local foxes targeted the reserve and the birds moved on. Reserve managers argued about controlling the foxes and finally agreed. But just two foxes had been killed that year. And what of the adjacent productive site? 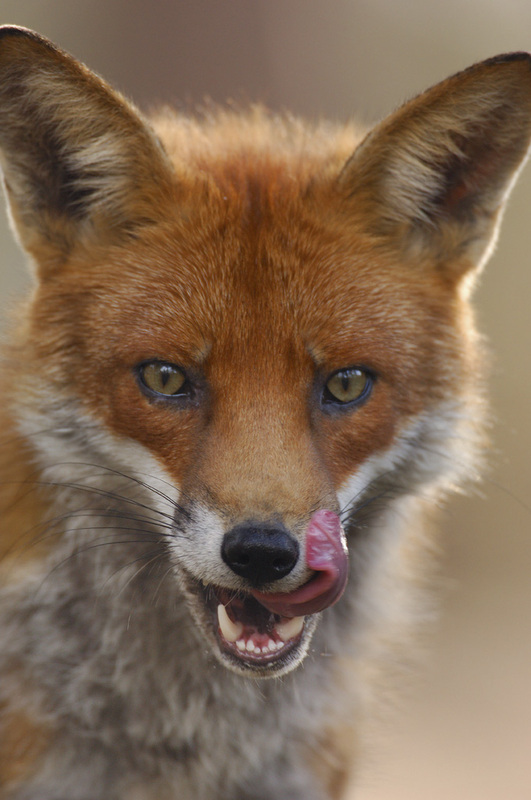 It was owned and controlled by hunters who routinely undertake control of foxes. An uncomfortable truth is revealed. Top reserves often seem to have plenty of staff asking for your membership or serving you coffee but not so many happy to understand and tackle the difficult issues of predation or habitat management. Nature reserves surely have an obligation to deliver good breeding success for the key associated species. Yet now isolated in an impoverished countryside, such key reserves are a magnet for predators. Too many nature reserves are in poor condition and are clearly acting as a ‘sink’ for the species. Even worse, habitat is created to attract key species but the issue of predation ignored as it is considered too difficult for the organization to handle. So how do we tackle the problem of high levels of predation on nature reserves yet distance ourselves from the likes of intensive game bird operations? Killing anything has to be the option of last resort. First must come habitat design and management, to reduce the impact of predators. Many of our older traditional reserves desperately require a design re-think and tweaks to improve the situation may be relatively easy to implement. Secondly, non-lethal methods of dissuading predators need to be considered. The best options here may be predator-exclusion fences (see below). Ok, they may look a bit ugly and we need to improve design and positioning but their impact can be substantial. Finally, if we come to consider lethal control (and this is essentially foxes), it needs to be based on a clear understanding of the ecology of both predator and prey. It also needs to be undertaken effectively and professionally. We do not want to, nor is it possible to, completely remove predators but the aim should be to create a window of opportunity for key threatened species to reproduce where the options for safe nesting are limited. An ineffective predator control programme achieves nothing. Is it another silent spring on your local reserve? Think it through and start the journey to noisy, smelly success. 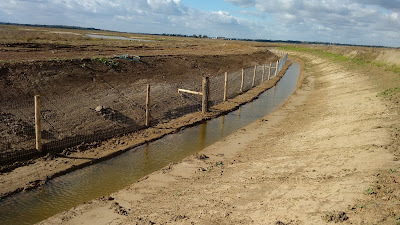 Below: predator-exclusion fence set within a ditch at Wallasea (ditch yet to be flooded). A work trip to a conference in Valencia in Spain provided the opportunity to learn about and see the Albufera of Valencia; a shallow lake in excess of 2,000 ha located to the south of the city. 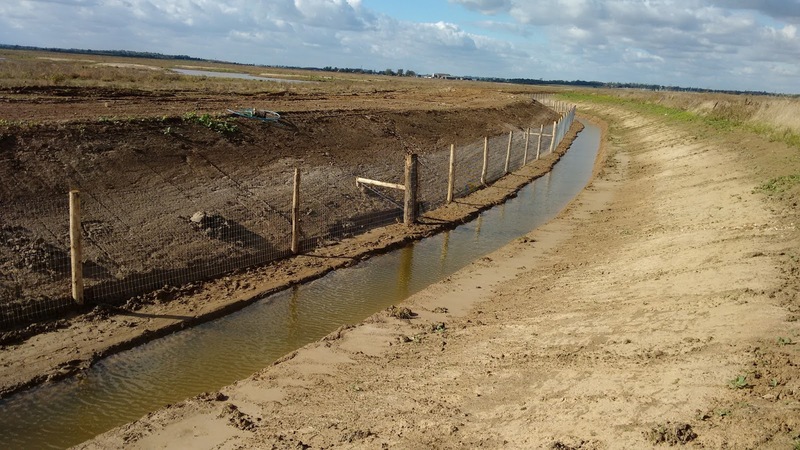 Little more than a metre deep, it is of huge importance for its wildlife, supporting around 90 breeding bird species and up to 50,000 wintering waterfowl. Around 8,000 years ago, the Albufera was open to the Mediterranean Sea but gradually became cut off by sandbanks. Originally some 30,000 ha in extent, it slowly reduced in extent through both sedimentation and its margins being progressively claimed for agriculture, principally rice production. There have been major issues with water quality, notably nutrient enrichment, since the 1980s, mainly as a result of spreading urban development from the city and the surrounding agriculture. The formerly clear waters, full of aquatic waterweeds, have given way to algal dominated turbidity. The population of 1,000 or so pairs of Coot declined to just a few tens of pairs as the vegetation disappeared. As the floating vegetation nesting platforms of Whiskered Terns disappeared, so did the terns. To try to resolve this problem a partnership of organisations came together to form the LIFE+ Albufera Project, funded by the EU. Between 2007-2012, three areas of rice fields close to the lake were converted to wetlands designed to enhance water quality. These 'tancats' were carefully land-formed and then planted with a range of emergent plants such as Phragmites and Typha that will extract the nutrients from the water as it flows through. Water flows down a series of terraces before being pumped back up into the lake. One of these areas, the Tancat de la Pipa was created in 2008 on the northern side of the lake. Its construction was supported by the Ministry of Agriculture, Food and Environment and is managed by SEO Birdlife and Accio Ecologista Agro. Early results show that significant improvements have been made. I was shown around the site by the excellent guys from SEO Birdlife (the Spanish Ornithological Society, notably Pablo Vera, who has undertaken many of the bird studies in recent years. Despite some declines, the Albufera is still a fantastic place for wildlife. The bird list is impressive, with many species doing well. For example, latest estimates suggest 60 pairs of Purple Heron, 400 of Squacco Heron, 200 pairs of Glossy Ibis, 50 pairs of Little Bittern, 600 pairs of Gull-billed Tern and 1,000+ pairs of both Common and Sandwich Tern. Around 40 pairs of Red-crested Pochard, a local priority species, breed annually. There have been re-introductions of both Marbled Teal and Red-knobbed Coot, a nest-building pair of the latter causing great excitement on my visit.